Package: 10 tabs (20 mg/tab). Vardenafil hydrochloride is an oral drug which belongs from phosphodiesterase inhibitors and it is used in treatment of Erectile Dysfunction of male. Vardenafil 20mg indications and contra-indications are the same like PDE5 inhibitors and it works to relax the muscles in walls of Blood vessels. These tablets are available in 20mg and in packing box of 10 tablets. Vardenafil 20mg ingredient medicine also helps to produce an erection that is suitable for physical action. 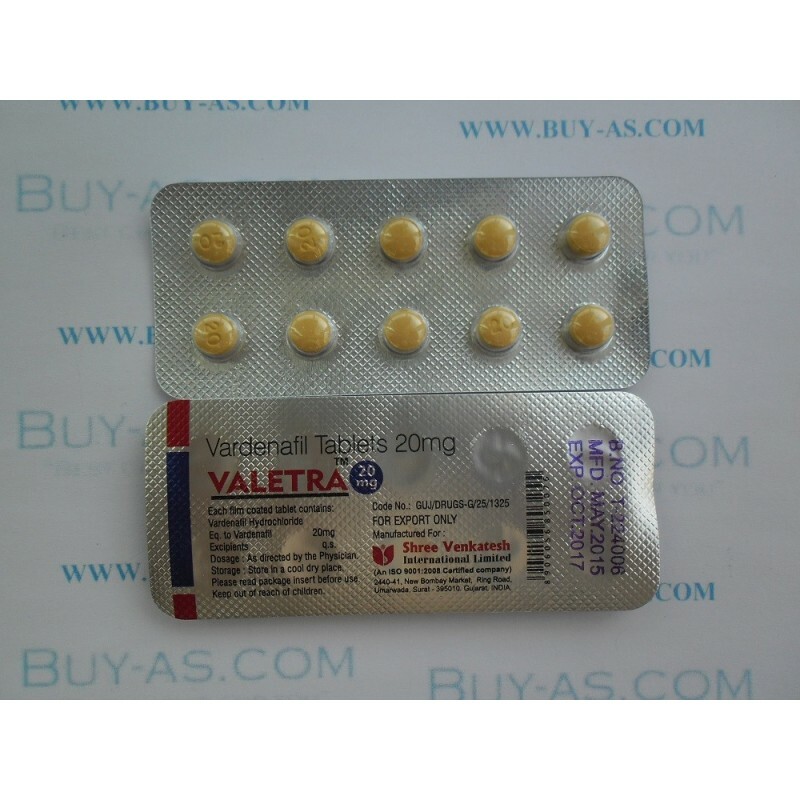 Vardenafil 20mg tablet is available under brand of Valetra. Shree Venkatesh International is the only manufacturer of Valetra in 20mg dosage.